Give your sword work a sinister air by wielding this LARP Evil Battle Sword! This darkly elegant sword features a guard with a single, upward-swept wing design that sits against the blade, giving the sword a truly impressive look. Even better, this weapon is made from extremely durable foam that does not shred and is sealed with a strong coating of latex. A suede wrapped handle ensures that even during the heat of battle, the sword remains comfortable to wield. And since safety is always a concern in LARP, this weapon also features a round, flexible fiberglass core capped with a strong Kevlar tip for added protection. Please be aware that this sword is a handmade item and thus its measurements may vary slightly from what is shown below. 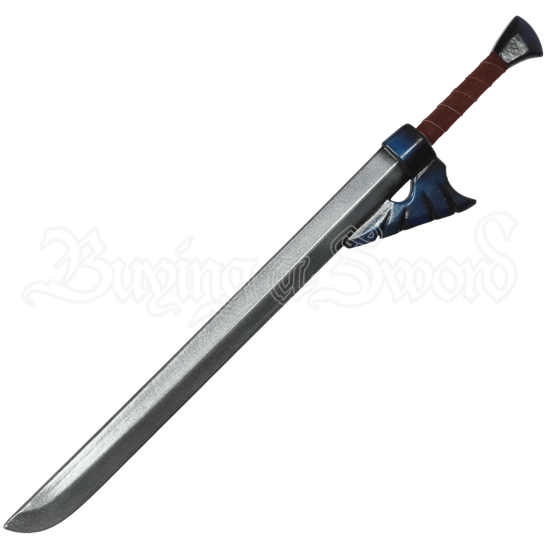 Please be aware that this sword is handmade, and its measurements may vary slightly.